Our world has become more connected than ever before, and our phones act as a portal into a global society; a place where people exchange their various views, beliefs, customs and behaviors that differ from our own. On one hand, as participants in social networks and other online communities, we have the opportunity to learn from people of various cultures and backgrounds and cultivate tolerance. On the other hand, online environments serve as a gathering place for those who choose to be intolerant, and a platform to spread intolerance to others around the world. If technology can be used to create turmoil, then the same technologies can be used to promote tolerance and respect for people from all walks of life. As members of a global community, the condition of our online culture and the future of our society depends on our present choices. Together, we can uproot intolerance and, instead, sow seeds of tolerance, acceptance, and a healthy respect for all people. Did you know that social media uses an algorithm to sort through digital content to show us what it “thinks” we want to see? Our posts, clicks and comments in social networking platforms trigger an algorithm that predicts what will most likely appeal to us thus reinforcing–or reshaping–our preferences and perspectives. Media-based communication has always played a role in shaping societal perspectives. While media can enlighten and empower, it has also been used to propagate bias and discrimination against certain groups of people. In generations past, local newspapers featured cartoons that depicted people from a particular race or religion as witless clowns or sinister characters. Theatre productions have stereotyped certain ethnic origins or religions as a villain or the “fool.” As the world has modernized, television and movies have also created stereotypes that are sometimes passed off as satire, but not always. In the age of new media, our generation has a significant challenge. 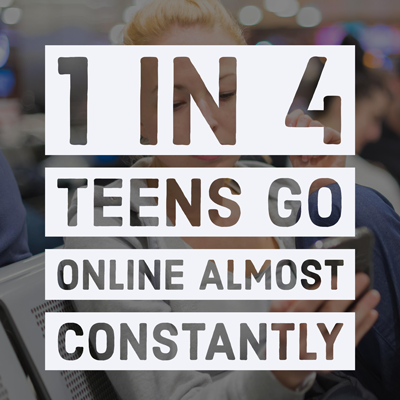 The majority of teens (92%) go online daily, and nearly one in four teens goes online almost constantly (Lenhart, 2015). This constant interaction with digital media is due to the phones that we carry with us wherever we go. Thus, we come across, not one image in the daily post or one television show aired on prime time, but thousands of pieces of digital content that we interact with online. The media-based messages that circulate on these platforms bombard us, making impressions on our minds. As we swim through an endless sea of digital content in our social networks, we make millions of unconscious decisions to accept or reject the information presented to us. Misconceptions, misinformation, and bias flood our social feeds. Will we choose to soak up this information like a sponge and wring it back out in our own online responses? Will we choose to aid in the spread of false information by sharing this type of online content with others? Or will we choose to remain vigilant, conscious, and aware of what we watch, read and share? In order to detect subtle messages of intolerance, we must be media literate. See also → Teens, Technology & Tolerance: Is Our Generation Media Literate? Racism is but one upshot of a persistent age-old problem of which intolerance is the root. 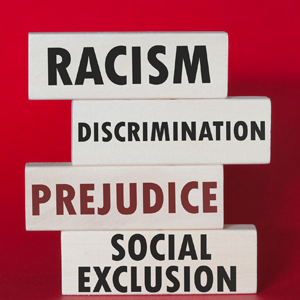 Peoples of various ethnic origins, religions, genders, orientations, and disabilities are also targets of discrimination and even hate. Hate sites, social media rants against certain groups and online harassment are unfortunate realities. For example, a few high school girls chanted a racial slur in a video and sent it in a private message. The video was then uploaded to Instagram where it went viral. Students from the girls’ school encountered the video, reopening discussion about the ways that schools handle cyber bullying and racism (Havens, 2017). Race is not the only issue. Derogatory statements against people in the LGBTQ community litters online conversations among teens. The Atlantic once published an article about a website that tracks teen use of specific terms on Twitter. The article has since been archived, but the ticker is still active. Take a look. Teens have mentioned that they do not intend for their language to be hurtful, but that they simply haven’t thought through their Tweets or posts. But words are not “just words.” These same derogatory terms are used by those bully and justify their acts of violence against LGBTQ; a pattern that is similar to the racial slurs used by those who commit acts of violence against people of a certain skin color. Think back, for a moment, to world history class: intolerance has led to injustices such as segregation, slavery, internment camps, and genocide. Unless we learn from the past, history bears repeating. Intolerance does not always present itself as a major controversial movement but often appears in subtle, nuanced ideas passed off as humor or casual banter in online conversations. These conversations are comprised of the language that we choose to use online. A distasteful Instagram comment, a derogatory tweet, or a slur sent on Snapchat is not exactly “innocent.” Whether typed and sent without consideration, or posted with malicious intent, these messages ebb away at the culture of tolerance and respect for people from other walks of life, ability levels and backgrounds. 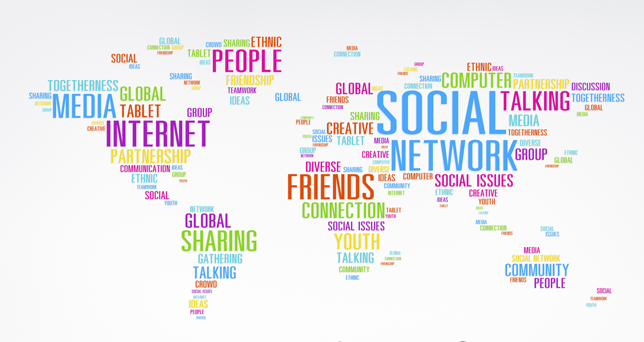 When you join a social network, you become a member of an online community. Just as with our local communities and social circles, every member of an online community helps to shape cultural norms; a sense of what is acceptable and unacceptable in a society. Social networks have established clear guidelines to ensure that the diverse community remains safe for all, and that the community fosters a culture of tolerance. But every member has a choice to either be part of the problem of intolerance, or to contribute to a culture of tolerance and respect. Read the full set of social media guidelines here. What can you do to cultivate tolerance in your online community? Here are 5 Tips. Join iDrive in countering intolerance with Kindness and Tolerance this month–and every month! Learn more about World Kindness Day and International Day for Tolerance.